I'm working on a review of the Jetbook Color at the moment, so of course I am reading on it. I happen to have the Laugh Lines collection open on it, and I just came cross this surprising bit of tea-leaf reading. Ben Bova is an SF author that all should recognize. He's had a career spanning decades, and in that time he's made any number startling predictions, some of which have since come true. This prediction came from Cyberbooks, a novel that was originally published in 1989. "Cyberbooks will bring down the cost of publishing to the point where thousands of writers who can't get their works published now will have a viable marketplace for their books". Doesn't that sound like the current state of self-publishing? While it's not clear that Mr. Bova predicted that so many would bypass the traditional gatekeepers, there is still a ring of truth to this. Would you believe it was just tossed off in a brief phone conversation near the end of the book? And there's even more predictions in the book which have come true, including online sales and the amount of effort publishers put into resisting change. 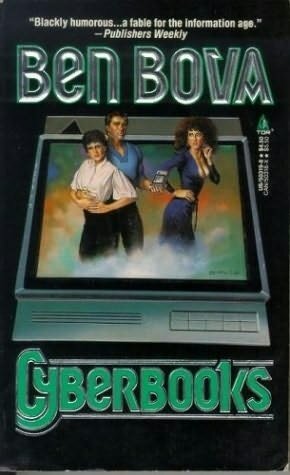 Just to put this into perspective, Cyberbooks was published the year before the first Sony Data Discman hit the market. 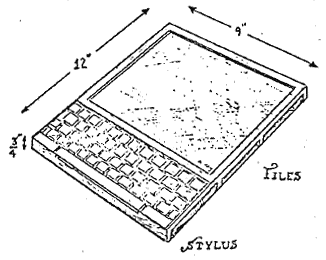 That was the first device to even come close to the ereader described in the novel, but it still fell short. You can look at the Dynabook and see that it was the godfather of all ereaders, but the one device that comes closest to the original ideal would probably be the XO laptop from One Laptop per Child. It's bigger and heavier than the concept, but it is does follow the spirit of the idea. Inkling to Launch a New iBooks Author Competitor Next Week? I read this book about two years ago. The interesting thing is that, in the book, the publishing industry squashed the attempts to make and develop the Cyberbook. So it was made into a children’s toy and then into an e reader. Predicting the path of technology isn’t easy but predicting the path of economics is even harder. It’s cool to see someone who can get both of them right.